Matched betting capitalises on the methods that betting sites use to lure you in, such as free bets, to cover every possible result of a sports bet. By doing this, and only betting for as long as the offer is live, you guarantee yourself a positive outcome. Like all systems however, it only works as long as you understand the system and follow the rules. Not placing the correct bets is only one of the mistakes that those new to a matched bet system are prone to making. Not taking the time to research odds and offers correctly is probably the second most common mistake that should be avoided. Bet offers often come with strings attached. Choosing to use a site where you cannot immediately access the winnings of your free bet is likely to be a costly mistake. A large part of your ability to make a profit comes from being able to access any winnings from the free bet on the bookmaker’s site. If these winnings are held until you put your own money in, or place a bet with your own money, then you risk losing this advantage. However, if you have done your homework, know what the catches are, and can use them to your advantage, then this works just as well. For example, having to deposit £10 to get £30 worth of free bets that you can withdraw at any time may be £10 worth spending. If you keep track of what you are putting in, and what you are getting back, then you will be able to tell for yourself. Using free bets and betting offers is key to making money with matched betting. Given this, it is very important to stop when these offers run out, or you have used up all of your free money on one site. This means that if you want to continue to make money betting with this system, you need to have access to more than one bookmaker’s site. In order to do this, you must be able to keep track of the different offers as they happen, and make notes of the free money betting offers that you have already used. Creating a spreadsheet is one simple way to do this. It will also allow you to keep track of all of your login information for each site. To ensure that you get returning customer offers, sign up to newsletters and check back with sites you have used at regular intervals. Remember that they want your custom, so after you haven’t used them for a while, they will try to entice you back with a special offer. You can head to http://thriftymum.co.uk/top-tips-to-make-money-with-matched-betting/ for more tips on this blog regarding how you can make money through matched betting. 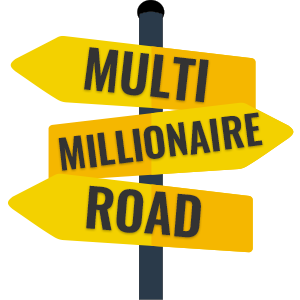 Matched betting can boost your income every month but it is not a get rich scheme. If you are really struggling with debts and such like, putting money into matched betting may not be wise just yet. Check out https://debtconsolidation.loans for information on consolidation first, and look into charities and free advice services that can assist with your situation. So there you have it: some crucial mistakes to avoid when matched betting! Avoid the above to improve your chances of success.